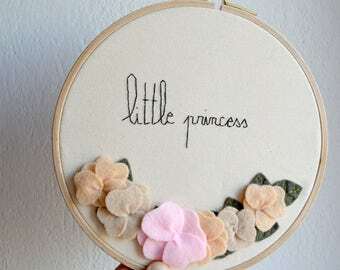 Embroidery, handmade toy, crochet gift, nursery decor. Announcement Most of our items are easy to personalize. Don't be shy and ask us! We will work together to create a special item just for you! You can see plenty of custom orders on INSTAGRAM @millieandubu ! Most of our items are easy to personalize. Emilie is very kind, she works with excellent quality and creativity!!! Hello! That's me and my little creative corner. We are so proud being featured in lovely blog anw magazines. Personnalized orders are my favorite ones. 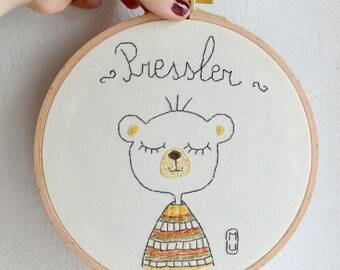 Add some colors on a children nursery with this embroidered hoop. After my dregree in a Fashion and Art school in Paris, i decide to work on children creations. I first began with stuffed bunnies and cats. I enjoyed this so much i tried a LOT of other animals and children decor. 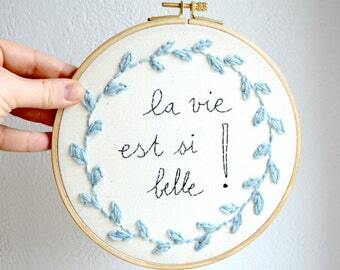 Millie & Ubu is all handmade in France with ecofriendly fabrics. 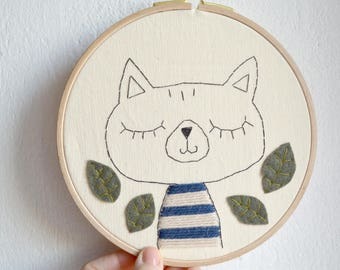 Because when you buy an original handmade product you want the best, everything is done to satisfy all your wishes (from ordering to receving your package). Mu by Millie & Ubu, la petie marque française. Nous créons des produits spéciaux et uniques pour vous faire sourire et rêver. Bonjour! Je suis Millie! Je suis la personne derrière toutes les créations MU. Hello and Welcome at MU! Here we are creating as well as selling and packing at our little workshop. To be sure that everything is perfect, we invite you to note that all ready to go orders are packed in 3 to 5 days. It can be a litle longer for custom order. Please contact us for more information about the delay on your particular order. As we send your order, we send you also an e-mail with the shipment delay. If you have any problem with your order (lost or dammaged...), let us know by sending an e-mail : millie.ubu [!at] gmail.com. We will try to find the best way to make you happy! We are pleased to inform you that we do accept Paypal and direct paiment. We send you an e-mail as soon as we post your order so you can estimate the date you will receive your order. We would love to work with lovely and creative toy shops around the world! Let us know if you are interested on wholesale, so we can talk about it with you. Yes, we like custom orders! Actually, we promote this! Don't be shy and ask us! We will work together to create a special item just for you! You can see plenty of cutom orders on INSTAGRAM @millieandubu ! We love to add a handwritten note and a little drawing to your packaging. If you would like to send directly the order to a friend and add a peronnal note, please let us know. We will write it for you and add it to the package with pleasure. We would love to work with lovely shops all around the world. To receive our wholesale catalog, send us an e-mail.